My male friends and family members here in the UK seem to watch a lot of documentaries about the Second World War and Nazi Germany. But that is all in the past. Why dwell on the past when there are horrors happening today that should be of far greater interest and concern? With this thought in mind I did some research about life in the city of Raqqa. My information mainly comes from a diary of a citizen serialized on radio 4. In January 2014 Diash, or Islamic State took over the city of Raqqa in the east of Syria making it their stronghold and trying to wipe out opposition groups such as FSA and Al Nusra. 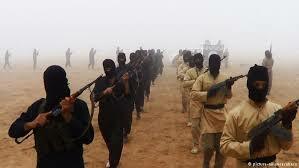 After a couple of months, IS decided that they needed to control hospitals, clinics and medical supplies in Raqqa. People began to feel threatened: most international organisations left Raqqa and many Syrian doctors fled the country.The way of life IS have created is more horrific and barbaric, to my mind than Hitler’s Germany. There are checkpoints along the streets and citizens are closely watched. Anyone deemed to be a homosexual or a spy for the West, for instance are rooted out and brutally beheaded or lashed. Images of medieval torture are displayed for all to see but the people have probably become desensitized by what they see on a daily basis. In Raqqa, electricity is sporadic, dependent on how happy the militants are with the people’s adherence to their rules. Everyone must conform to Sharia law and the punishment for breaking the law or speaking counter opinions and ideas is a visit to the religious police headquarters. Women are stoned for adultery and punished if they don’t wear the full face veil in public. The internet has been banned and cyber cafes have closed down. Mobiles are banned. Music is banned. Contact with the outside world is very hard. Those caught fleeing are severely punished. Doctors treating female patients are sacked then locked up. And men can nolonger gather in the squares after Friday prayers for a chat. Most people don’t go out on the streets at night. It’s too dangerous and there are airstrikes from Government forces. IS take money from shop owners as ‘charity’ money, forcing them out of business. Food is too expensive to buy. A tomato costs 400 Syrian pounds. People are butchered in the streets, their heads cut off and left outside their families home. Anyone with links to the 2011 Revolution is killed. There’s a ban on smoking and a ban on owning a TV. Men can be arrested for wearing trousers that are too long and sent on a course in Sharia law. We are very lucky to live in the West. If I lived in Raqqa I wouldn’t have been able to write the two books I’ve written and Diash would certainly disapprove of the controversial content. For years Dunblane was known as a popular venue for conferences, being centrally located in Scotland and home to some well known football players and tennis champions such as Andy Murray. It’s also a beautiful location for tourists visiting Scotland, flanked by rural estates, heathery hills which entice visitors onward into the Scottish Highlands. For centuries it was the place where the Christian missionary Saint Blane visited and is a commemoration to him. But Google Dunblane today and the Internet tarnishes this lovely image because of a terrible tragedy. 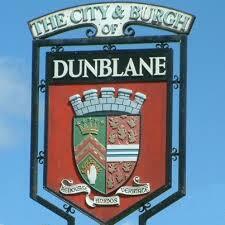 Dunblane was the of a massacre that took place twenty years ago, this Sunday 13th March, 1996. Dunblane has become synonymous with the deadliest firearms attack in UK history. Who would have thought that a cathedral town of just 8000 people would be victim to such an outrageous atrocity in a country that is supposed to have very strict gun control? And who would have imagined the perpetrator, Thomas Hamilton to have been an ex Scout Leader? Twenty years on what have we learned from Dunblane? The nation demanded to know: how could a man like Hamilton be allowed to own a gun? A public campaign in the months after Dunblane against gun ownership culminated in a petition being handed to the government with, I’ve read around 750,000 signatures. In response, then Conservative Prime Minister John Major set up a public inquiry to look into gun laws and assess ways to better protect the public. Our gun laws had already been tightened following the 1987 Hungerford massacre, in which one lone gunman killed 16 people. Britain introduced new legislation — the Firearms (Amendment) Act 1988 — making registration mandatory for owning shotguns and banning semi-automatic and pump-action weapons. After Dunblane the Government passed a ban on the private ownership of all handguns in mainland Britain, giving the country some of the toughest anti-gun legislation in the world. After both shootings there were firearm amnesties across the UK, resulting in the surrender of thousands of firearms and rounds of ammunition. Britain has never had a “gun culture” like that of the United States, but there were about 200,000 legally-registered handguns in Britain before the ban, most owned by sports shooters. All small-bore pistols, including the .22 caliber, were included in the ban, along with rifles used by target shooters. Penalties for anyone found in possession of illegal firearms range from heavy fines to prison terms of up to 10 years. Initially the legislation had little impact because the number of crimes involving guns in England and Wales rose heavily during the late 1990s to peak at 24,094 offenses in 2003/04. But since then crimes involving handguns has fallen and there have been high profile mass shootings since, most notably in 2010 when a lone gunman, Derrick Bryd killed 12 people in Cumbria. Security in our schools has been stepped up since Dunblane. My own daughter’s primary school has a perimeter high fence with a security entry system but when 3pm arrives the gates open and anyone, in theory could rampage through the school with a gun. Primary schools seem to be more security conscious than secondary schools. Our local secondary schools don’t have security fencing. The main door is open for visitors who are greeted by a receptionist and with a gun in her face she would certainly give entry beyond the reception. Many schools it would seem remain unsafe and at risk from intruders. Improved security seems to be piecemeal from what I see in my own community and beyond. Maybe there should be a conference in Dunblane to mark the anniversary and to discuss and review where we are at, in terms of gun control and school security. The parents of the children killed at Dunblane Primary don’t want to imagine another horror taking place, at some point in time. What they went through was truly horrific and we owe it to them to ensure that the last twenty years have been about real progress. The Trump Phenomenon: Disaster or Dream for America? Comments Off on The Trump Phenomenon: Disaster or Dream for America? Donald Trump in the USA and Jeremy Corbyn here in the UK have one thing in common. Both are Marmite candidates. You either love them or loathe them and believe they will be either a disaster or a dream for their country. This is what commentators are calling the Trump phenomenon. He’s successfully tapping into the popular mood in many quarters, despite the reactionary rehetoric Hilary Clinton yesterday accused him of, he knows the right buttons to press on all the issues that most bother Americans. 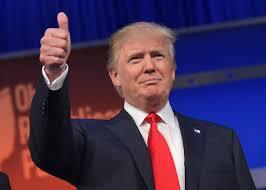 It’s becoming clear that Donald Trump is going to be the front runner for the Republican party. It’s hard to seeing anyone knocking him off his perch now. Like Corbyn’s position within the Labour Party there’s a huge segment within the Republican Party that’s fed up and wants change. A segment so angry, so frustrated with the overwhelming feeling that they’ve been betrayed by previous leaders and are now reaching out to extremists and those out of the mainstream for a solution. They offer a radical promise to take the country in a different and fresh direction. This often happens after weak and compromising leadership. It also often happens after a weak premiership. There’s no doubt that Obama has been a weak and ineffectual leader. Ted Heath was a weak leader in the 70s and look who we had run the country after him. Some commentators have compared him to Hitler. That’s a bit facile. He’s more like a right wing Branson. Politicians will say anything to get votes and many of the stirring and venomous things he’s said certainly have won votes but whether he truly believes these things is anyone’s guess. Piers Morgan knows him well and worked with him on Celebrity Apprentice over several months and says he’s a genuinely really nice guy, more moderate, calmer, more rational in reality. You’ve got to treat all of his outrageous statements with a pinch of salt, a degree of skepticism. Piers Morgan watched him in the boardroom and described it as ‘his natural habitat.’ ‘He has warmth, humour and a sense of perspective.’ Maybe Trump would be a good bet for president. He’s a successful tycoon, flying to campaigns in a private jet, a measure of the success he’s achieved running highly successful businesses with smart people in control. Just the sort of man who would make a great president. The type who could strike up trade deals, sort out Putin and command respect from enemies. I can therefore understand this Trumpmania that’s gripping America and if I was a US citizen I think I’d be taking an interest in what he has to say. Mark was born in 1959. He’s nostalgia about the era he grew up in. ‘In those days you could go in a cafe and there weren’t 50 types of tea (he describes all the flavours on offer today). Tea was builders’ tea served in a mug with a chip by a fat lady in an apron, sucking a fag. You expected fag ash in your tea.’ As a young lad he went in the bookies with his dad. I smiled when he described plastic streamers hanging from the door as you entered. My grandma had those in the 70s! Mark has calculated that at 50 you only have around 25 holidays left. Adverts are directed at the over fifties. From foam mattresses to holidays for those with decaying bones. Mark travels to ‘biscuit tin Scotland’ with its ‘misty hills, poets and burns’ in search of his mum who lives in a small town with a fountain, ‘the only industry there.’ He discovers his aunt still living there. She says ‘ow the wee bern’s come back.’ I loved his Mrs Doubtfire accent, it was brilliant. I do hope Mark Steel will return to Haywards Heath but in the meantime I look forward to hearing him again on BBC Radio 4.